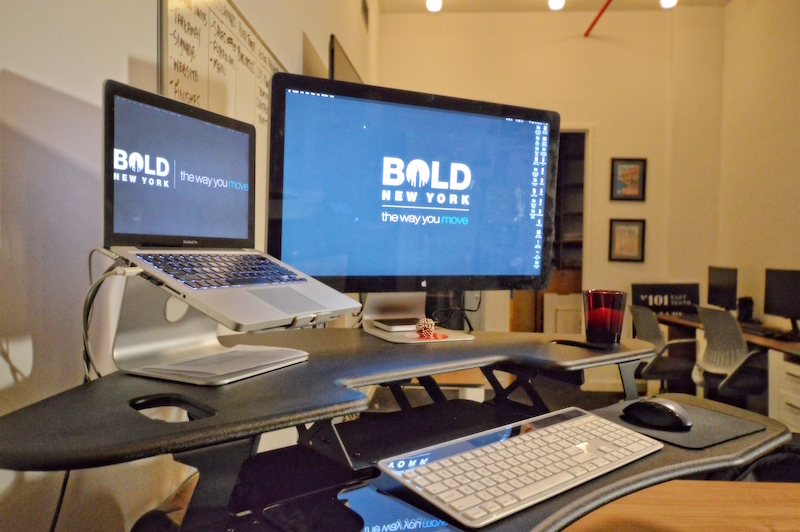 My name is Robert Stofer and I’m the creative director for a young, disruptive real estate agency called Bold New York. I started a marketing agency called MOVE within Bold New York to facilitate creative materials for the agents we have and landlords we represent. Because we’re in the startup phase my hours are ridiculous, but it’s all worth it. Knowing that sitting equals smoking, I splurged for life longevity and got an expensive adjustable standing / sitting desk. Changed my game and my life. We’re in a new space so I’m still filling it out with art and photos that inspire me. I have magnetic stress balls that I have in my hand at all times. Something about rolling them around in my hands and manipulating their shape that calms me and provokes creativity.